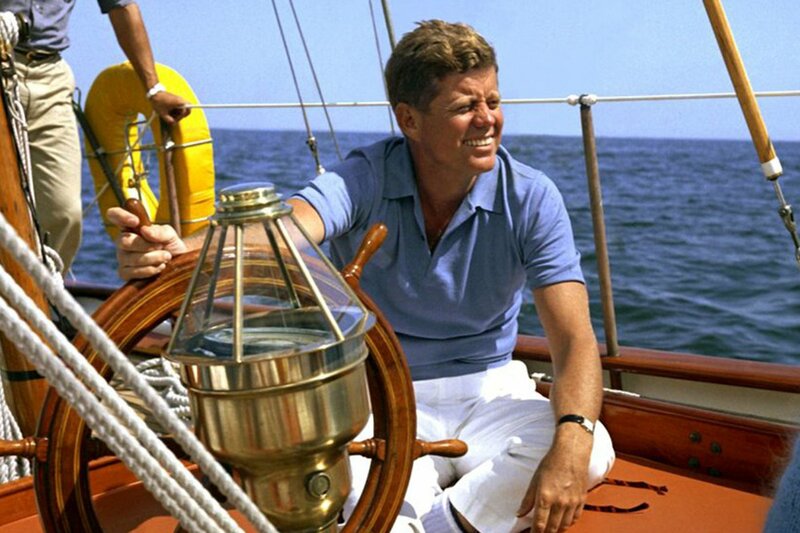 John F. Kennedy was a watch guy. He was rarely, if ever, sighted without one. A personal favourite of his was this Omega Ultra-Thin ref OT3980 gifted to him by his friend and former member of the Florida State House of Representatives Grant Stockdale. When we visited Omega’s headquarters in Bienne last year, we were fortunate enough to be given a tour of the museum, with a rare invitation to handle any watch that caught our eye. This was absolutely one of them. How to describe the feeling of holding in your hand an object with the human detritus of JFK visible on the strap, around the lugs and so on? He wore this watch frequently. You can tell. It was oddly unsettling. Powerful. I go on after this experience to handle Elvis’ watch, too. It wasn’t the same experience. I can’t advance any theories here, just an observation.